SV Rhona H / Heritage Sailing Tasmania Ltd, Hobart, Tasmania . Information, Photos and Reviews. Welcome aboard SV Rhona H; see us set sails (set on every trip) on our historic vessel built in 1942. By sailing with us you get more than a sail boat trip; participate as much as you wish, take the helm, ring the bell, haul on lines or sit back and relax and watch the team do the work for you. Fabulous photo opportunities and commentary refreshments on every trip too. Charles Burns and Julie Porter took ownership of SV Rhona H in January 2014. Charles has a mechanic background with a long-time love of classical sailing and Julie is a Registered Nurse and self-confessed "tall ship tragic". We offer a range of experiences whilst restoring SV Rhona H to her former glory using the philosophy we call "Head Waves". As well as short sails on the River Derwent, longer day sails to Kettering, and longer still to Bruny Is and Port Arthur, we offer options and opportunities for individuals and small groups. During the winter months SV Rhona H offers a range of sailing options. 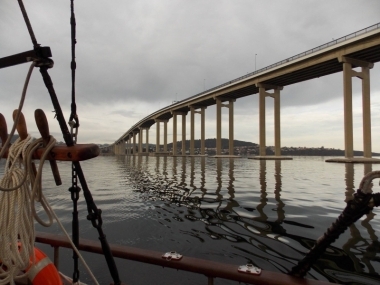 Short sails on the River Derwent including under the Tasman Bridge. It's a great way to see Hobart and warm up with a hot drink and morning / afternoon tea whilst enjoying the experience. 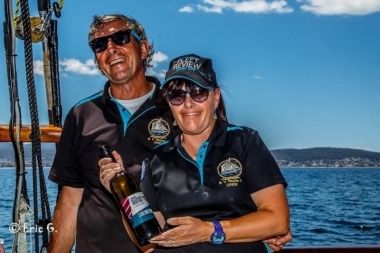 A monthly full day D'Entrecasteaux Channel sail cruise is offered. Ask us about even longer overnight excursions. 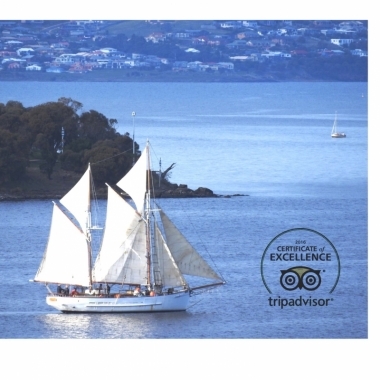 Nobody has reviewed SV Rhona H / Heritage Sailing Tasmania Ltd yet, Be the first. You are submitting a booking enquiry. 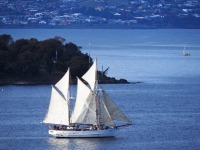 SV Rhona H / Heritage Sailing Tasmania Ltd will then contact you by email with details of availability and prices.